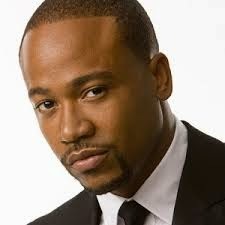 Former "Scandal" star Columbus Short bail has been doubled following a bench warrant for his arrest. Short was accused of failing to appear in a court hearing for the second time. Eurweb.com reports, Short's lawyer, Michael Levin told the New York Daily News that the Los Angeles County Superior Court judge issued a warrant for Columbus Short after he missed a mandatory hearing in his felony battery case. He said it wasn't Short's fault that he didn't make it to court. “His failure to appear was due to circumstances beyond his control,” Levin said. This is not the first time Short didn't appear in court. In August he was schedule to appear in court for misdemeanor domestic violence charges involving his wife, Tanee McCall but he showed up late. Because of his tardiness he was ordered to spend some days in jail. Short later to a plea deal on the charges and was sentenced to 3 years probation. As a result to his recent actions the judge revoked the actor's bond and his bail was doubled.